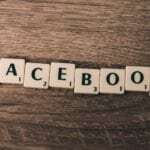 Will Facebook’s New Video Platform Be The Next Big Thing? The SEO has vastly improved. It's streets ahead of our old website and we now rank ahead of our competition. We're very pleased we chose Laser Red and we now have a good ongoing relationship. 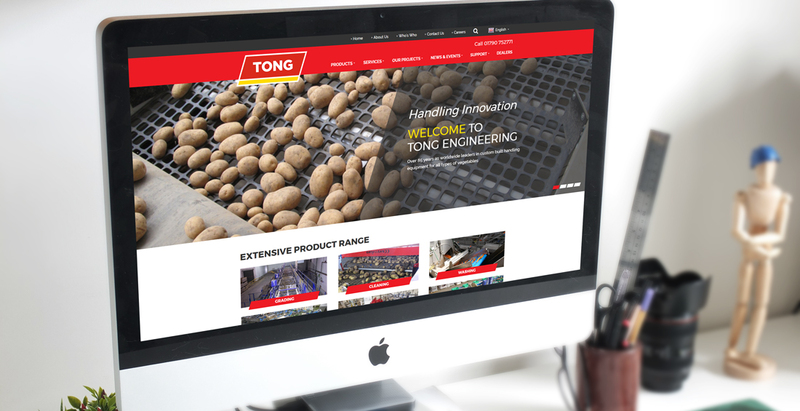 When Tong Engineering got in touch, back in 2015, we were very excited about the prospect of designing a brand new shiny website to showcase their extensive range of vegetable handling equipment. 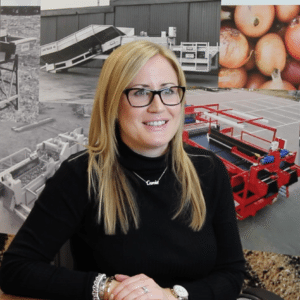 With an annual turnover of £13 million, Tong are one of our largest clients to date. The aim was to create a professional website to expand brand recognition worldwide and increase the number of visitor enquiries. It was vital that the website provided clear and simple information about the business, products and services. As well as being an attractive, engaging design, the new website needed to be consistent with Tong’s message. It needed to highlight the history, experience, professional service and high-quality workmanship that Tong Engineering are renowned for. Making the website suitable for an international market place was also important. Tong wanted to increase trust and brand loyalty on a global scale. A very proud moment for us! We used the world’s most popular content management system WordPress for this site. 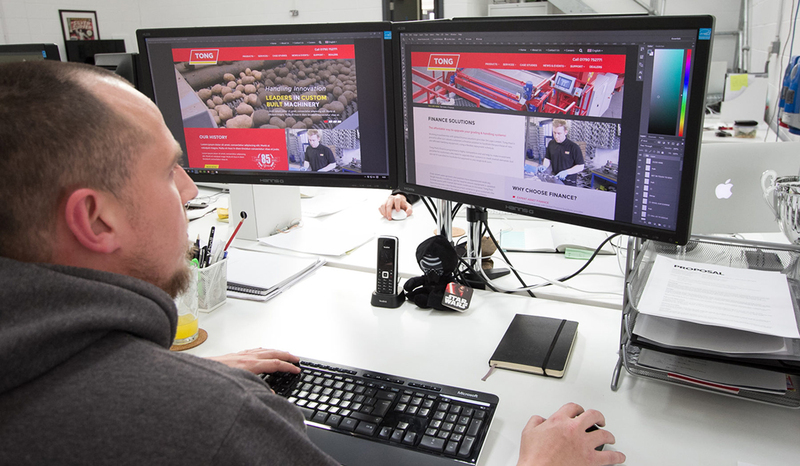 It was vital that Tong were able to easily update and manage the website content once it was up and running. So not only did we make the website responsive and optimised for all devices, it was easy to use. Client testimonial manager – allowing Tong to easily store, manage and upload testimonials from their database. Dealer directory manager – segmented by country, Tong are able to easily amend contact information and address details without having to upload a new dealer each time. 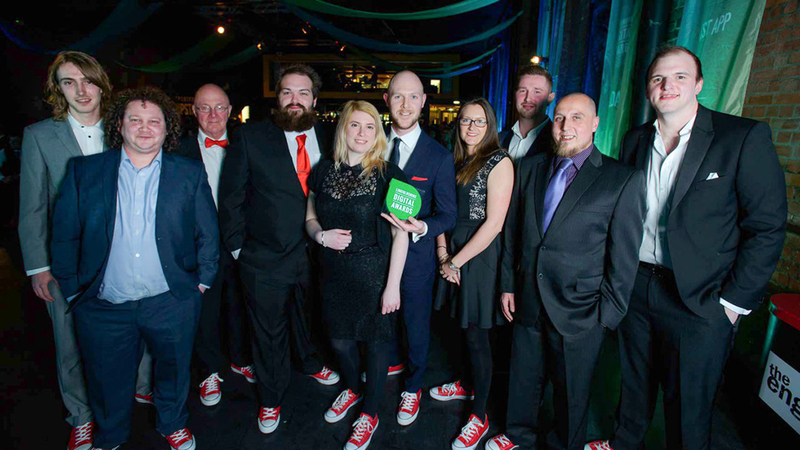 Event list manager – Tong are often out and about at events, so they wanted to let their customers know where and when they could find them. As this changes each year, it was vital that Tong could go in and amend this themselves. Products search facility – with their extensive product range, and new products being regularly added, Tong needed to be able to easily alter their portfolio. This facility enables them to easily update products by themselves. We saw a 41% increase in the number of pages loading within 1-3 seconds after developing the new site. A fast page load time helped to lower the bounce rate. Search engine optimisation was a huge focus with the new website. Throughout the build, as part of our highly effective process, we optimised the website using microdata and Schema.org code. 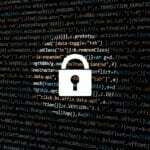 This helped to give the website the best possible opportunity of being indexed to begin with. We then ran a full site and content audit, identifying any gaps in the content on the site. It’s a good job we love spreadsheets, with the huge portfolio of product pages that needed optimising! Competitor analysis is also part of our service. 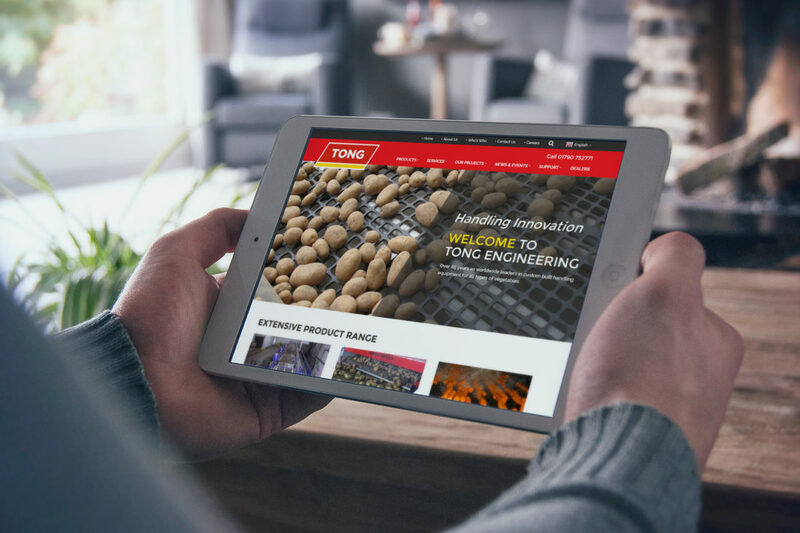 We helped to identify gaps in the current market, enabling Tong to get ahead of the competition with their SEO. We worked solidly (and are continuing to work) on optimising the Tong website for search engine visibility over the past 10 months. Originally, we started off with a list of 69 keywords across the site, and 50% of these were ranking between position 1 and 10 (so on the first page of Google). We continued to work our SEO magic and to date we have increased the results to 71% of 213 keywords ranking on page one of Google (that’s 152 keywords). 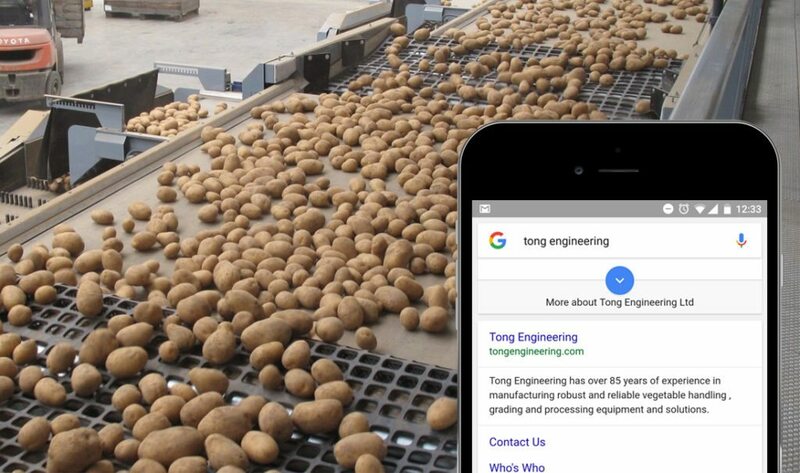 During these 10 months, we also managed to increase the search visibility of the Tong Engineering site by 97%! (The perfectionist in us is annoyed this is not 100%, but we are still quite proud of that figure!). Got a project you’d like us to look at? How do our customers rate us?